1. Austria should have had the game wrapped up before Poland had even woken up. The hosts (and in particular Martin Harnik) could not afford to waste such good openings early on. 2. What an outstanding display from Celtic keeper Artur Boruc. I am sure one or two of the top European sides will be giving Gordon Strachan a call. 3. Howard Webb loved his moment in the limelight a little too much. Some of that prancing round the pitch and overly dramatic gestures would have seen him laughed out of most Premier League grounds. 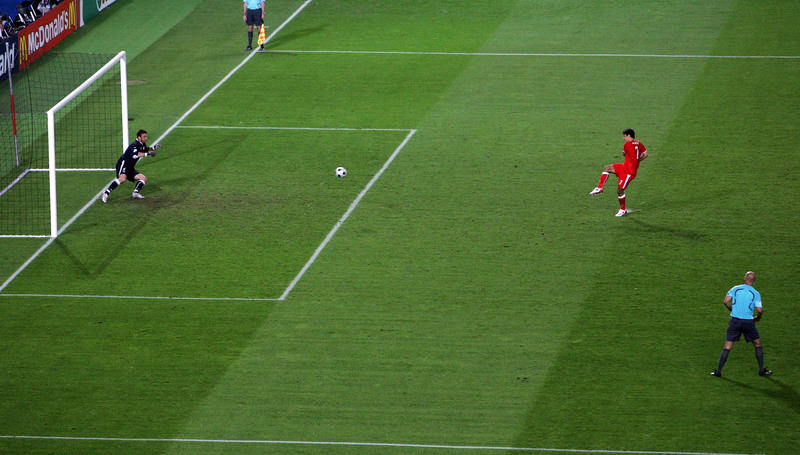 And as for that penalty… soft to say the least. 4. But what a well taken penalty it was. Ivica Vastic nearly put a hole in the net as he became the oldest ever goalscorer in the European Championships. 5. The last-minute equaliser was little more than a stay of execution for Austria. I don’t expect Germany to be in a generous mood when they meet. Tonight’s betting from our mates at Betclick. For a free Â£10 bet click here.